Right now, it’s in pole position thanks to the golden success of our double Olympics Champion and 2018 Tour de France winner Geraint Thomas MBE. Everyone seems to have caught the cycling bug, from families to Geraint-wannabes. And they’re all getting on their bikes and heading our way, along with fans of serious cycling endurance events and triathlons. Fancy cycling on the same paths as a cycling legend? Two new cycling routes have been opened that pay tribute to our very own Sir David Brailsford and the routes he used to cycle when growing up. The 50 miles and 75 miles routes have also been used during stages of the Tour of Britain in 2014 and 2015. The roads are smooth, perfect for cycling and both routes are well sign-posted. Learn more about Ffordd Brailsford Way. For seven tailor-made family friendly cycling experiences download Gwynedd Recreational Routes from the Cycling section of our website. You’ll find descriptions of over 30 miles of scenic and traffic-free (or traffic-light) routes along old railway lines and beside the Menai Strait and the lake of Llyn Padarn, Llanberis. Lôn Las Ogwen will give you a taste of our Recreational Routes. It’s a wonderful 10-mile cycle ride from Bangor up to the mountain lake of Llyn Ogwen, following the valley of Afon Cegin (for a gentle option go for just the first four miles to Tregarth). For much of the way it runs along a disused railway track that carried slate down to Porth Penrhyn. There’s much historic interest en route, from Penrhyn Castle – constructed from the wealth of the slate industry – to Penrhyn Quarry itself, the world’s largest. You can also walk this route, and sections are suitable for wheelchairs. Coed y Brenin was the first purpose-built mountain bike centre in the UK and it is still the largest. It is home to eight mountain bike trails, a skills area and a bike hire and retail shop. All of the mountain biking trails are waymarked and start from the visitor centre car park. From retro, rocky, classics to modern contemporary trails, there are rides to satisfy first timers to seasoned pros! The black graded ‘Beast’ is the one experienced riders aspire to, while the blue graded ‘Minotaur’, the most popular trail in Coed y Brenin, is ideal for all ages as well as adaptive bikes. The 5 mile ‘Yr Afon’ forest road trail is great for families and those who prefer a more leisurely pace, and takes in some of the most picturesque scenery in Coed y Brenin. 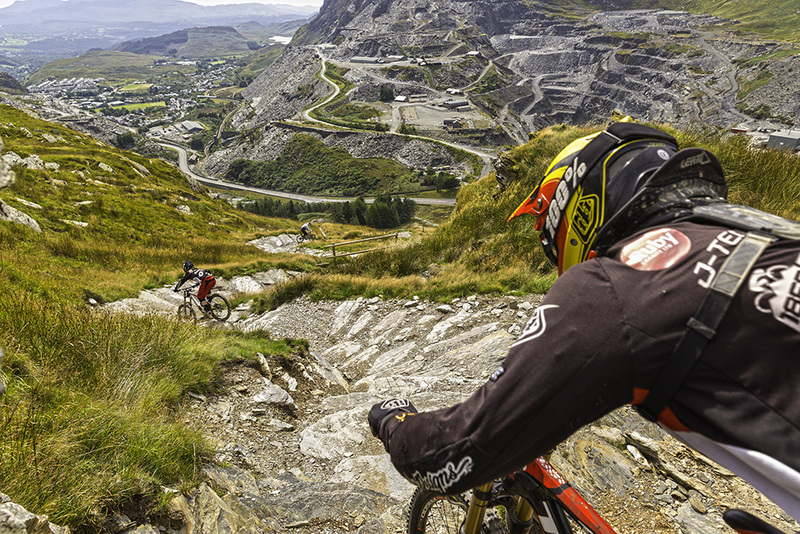 They’ve certainly been busy in the former ‘slate capital’ of Blaenau Ffestiniog, where off-road cycling enthusiasts are already raving about the award winning Antur Stiniog mountain biking centre in an old slate quarry. The super-fast flowing trails have rollers, jumps, drops and rock features as well as some of the best berms around. Most of our other forests have also caught the mountain-biking bug. For more sensational singletracks go to Beddgelert, Dyfi, Gwydir and Penmachno. And for purists who prefer natural terrain there’s off-road gold on the grassy tracks, rocky trails and ancient paths that lattice our hills and mountains, like the ‘Lake and a Bit’ rolling cross-country trails across Mynydd Hiraethog from Llyn Brenig.